Garden Photo of the Day: Who would have dreamed? It's rather misleading to focus in on one single flower in a fabulous garden that is chock full of trees, shrubs, wildflowers, perennials and re-seeding annuals. But, I have a new camera, and I haven't figured it all out yet, so my best photograph turned out to be of this Iceland poppy. The background: Sharyn Altman lives on a lovely pond in Augusta, Georgia, where she has made an expansive garden that is just dreamy. In February, a brutal ice storm hit the area, and did huge damage to the garden, which extends all the way around the house, with most of the big areas on a broad peninsula surrounded on three sides by water. This is the same storm that brought down the Eisenhower Tree at Augusta National. You can still see debris everywhere, and it will be years before the area makes a recovery. In Sharyn's garden, several shrubs were lost, and the jury is still out on what will come up this spring. One big heartbreak was the loss of a beech tree that had been the nesting place for barred owls for years. Sharyn had even placed a bench along a path so her grandchildren could watch the baby owls fledge. She has put up a barred owl box, but there are no takers, as of yet. What is extraordinary to me is that Sharyn and I were high school classmates. Who would have ever thought we'd reconnect through gardening? She was easily one of the prettiest girls in our class, and time has been more than kind to her. She looks exactly like her Homecoming Court picture in the high school yearbook. Anyway, Sharyn invited me to spend the night at her lovely home when I went to Augusta last week for a book signing. On Wednesday, when I arrived, she drove me out to Nurseries Caroliniana, a place that had long been on my bucket list. I had heard many lectures by its co-owner and famous plantsman Ted Stevens. My heart was beating double time as we walked around the nursery, which is known for offering unusual plants. Sharyn is a regular there and was able to capture people to walk around with us. 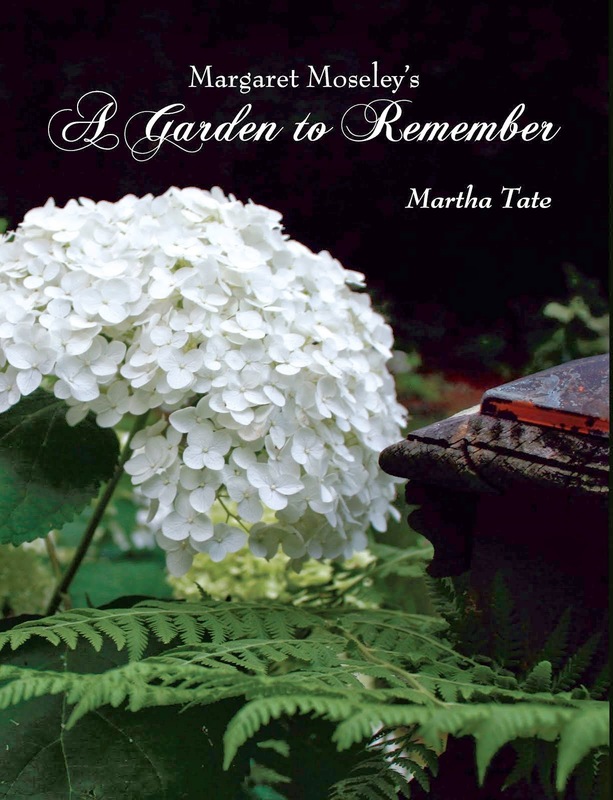 I ended up buying a camellia with a very, very dark maroon flower, a pink snowball viburnum and the white Viburnum plicatum forma 'Popcorn', which is pictured in my book, Margaret Moseley's A Garden to Remember. The shrubs were just planted today, so I'll be watering them this week with the weather turning warmer. Of course, I'm still thinking of the hard-to-find Abelia chinensis I left behind. I am counting on propagating one from Margaret Moseley's shrub, which is the exact form I want. Ted Stevens probably had the same one, but I was short on room in my packed car. Back to Sharyn: She has a butterfly house, where she has plants for the caterpillars to eat once they emerge. She gives lectures on butterflies and is active in many gardening circles. You could tell just by walking around that, despite the damage that was done, there will be a ton of flowers, shrubs and trees coming into bloom in the next few months - poppies, larkspur, foxgloves, native azaleas, roses, viburnums, kousa dogwoods, just to scratch the surface of this amazing garden. I admit I had a few rumblings of envy as we walked around the garden paths. While I have spent time photographing other people's gardens and writing their stories, Sharyn has created a garden with rare and wonderful plants and has built up a wealth of knowledge of horticulture. But I am thrilled for her and have the greatest respect for anyone who can plant Iceland poppies (Papaver nudicaule) and get them to bloom in Georgia. That alone is the true measure of a great gardener.